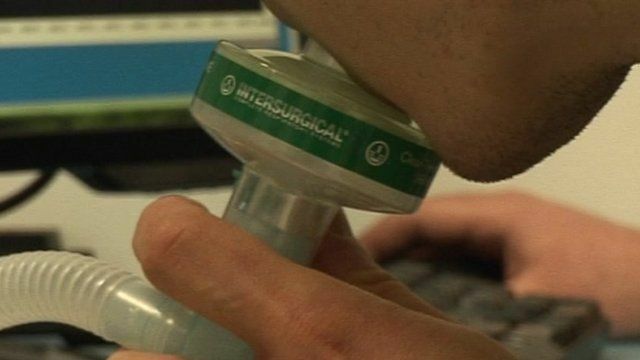 Children with type 1 diabetes in Oxfordshire are to be the first patients in England to have their blood sugar levels tested using their breath. Oxford Medical Diagnostics is working in partnership with the city's children's hospital to test its new desktop device. The machine can accurately measure tiny amounts of the chemical acetone on a patient's breath.